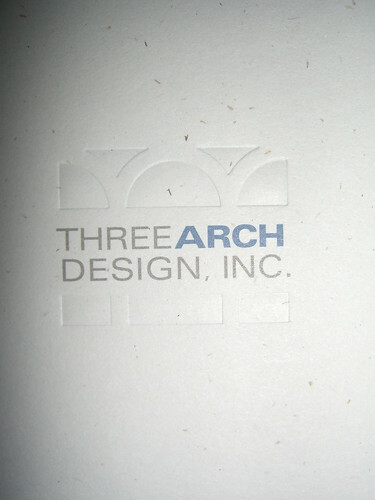 Client: Three Arch Design, Inc.
2 color printing with debossed logo. This has been a long job, but very well worth it. The first pieces are coming off the press this week. Pictured is the letterhead of the stationery suite. The business cards, envelopes and correspondence card with envelope will be wrapping up in the next few weeks. I'm so thrilled to see a design come together.